Ahead of her November 30 evening in Park City, we caught up with the adventure woman to talk about her team's incredible journey in Southeast Asia. 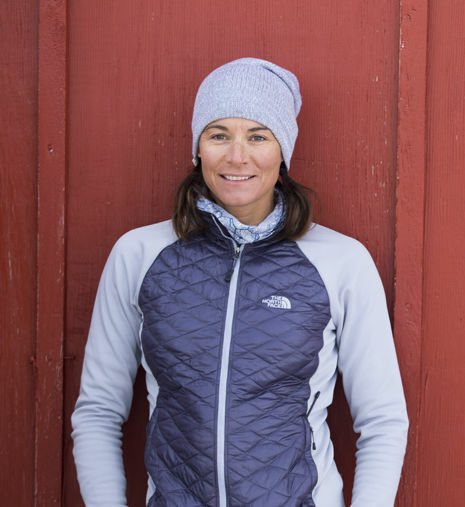 Big mountain skier and adventurer Hilaree Nelson will share experiences of her team's expedition to Myanmar to document Southeast Asia's highest peak. 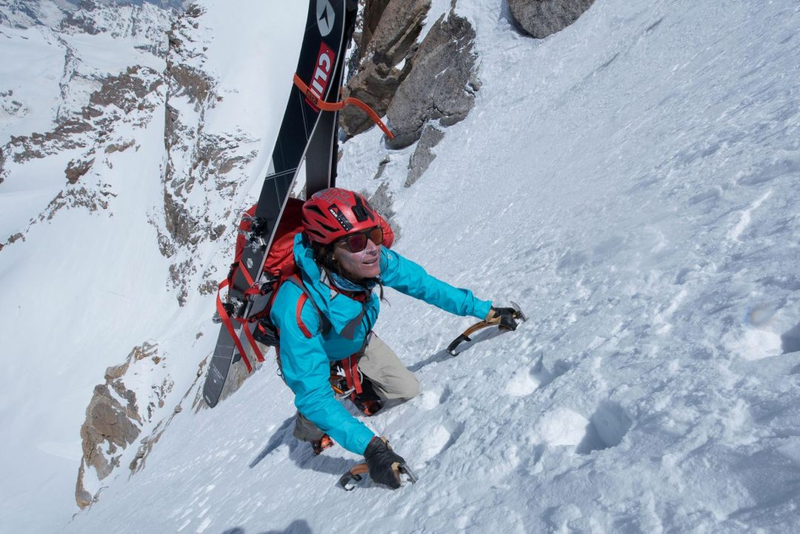 Big mountain skier and mountaineer Hilaree Nelson is no stranger to epic adventure. The North Face athlete has climbed and skied several high peaks in Bolivia and Argentina, cut turns on remote volcanoes in the Kamchatka Peninsula of Russia, Mongolia, Pakistan, Lebanon, made many first descents in the tight couloirs of Baffin Island, and she's the first woman to have climbed both Everest and neighboring peak Lhotse in a 24-hour period. But of all Nelson's adventures, perhaps the most challenging was the one she took four years ago when she set out with a crew of alpinists, photographers, and filmmakers on an expedition to the remote northern region of Myanmar. Their mission: to ascertain the height of Hkakabo Razi, believed to be the tallest peak in Southeast Asia. To say the journey did not go as planned would be an understatement. The film about their adventure Down to Nothing, winner of the Best Cinematography Award at the Telluride Mountain Film Festival in 2015, shares the team's story and the troubles they encountered along the way, from miserable weather conditions to the grueling trek through the jungle, food shortages, and feuding before even reaching the base of the mountain. This weekend, Nelson will be in Park City to speak first hand about her experience as part of the National Geographic Live speaker series. Ahead of her visit to town, we caught up with Nelson to find out a bit more about her experiences. What do you enjoy about being part of the National Geographic Live series and why do you think it's something worth attending? I'm starting my third season with the series. I personally find it interesting and love the opportunity to visit places I might not otherwise go to. National Geographic does a really good job coming up with a variety of speakers, from adventurers to scientists to photographers and everything in between. Hopefully, people who come are inspired. The idea is to expand the worldview of people and get them out of their comfort zones, so they walk out the doors with a greater depth of knowledge than when they came in. You have a lot of impressive peaks under your belt, including Mt. Everest, would you say climbing Hkababo Razi was your most difficult excursion to date? From the human dynamic side, it certainly was. The stress of the environment, not having enough food, being so remote, the conditions, everything was really hard. But the hardest part was dealing with the relationships and climbing partnerships. That's saying a lot. Did you get any sense of what the Burmese people thought of you and what your team was trying to accomplish? In the beginning when we were traveling overland on our way north, we visited a lot of the main cities and had some incredible experiences with the Burmese people, but at that point we were basically tourists. Once we were on the trek with motorcycles and going into the jungle, the populace was very different—it's a more tribal community, they aren't Buddhist like the rest of the country. We had an interpreter and very insightful interactions, but overall communication was very difficult. No one speaks English so we were relying mostly on hand gestures. They definitely thought we were totally nuts, I don't think they couldn't really understand or appreciate what we were trying to do. It's not like India or Nepal where there is a well-established climbing culture. After all the challenges you faced on the expedition, do you want to return to Myanmar? Any other conquests on your radar? So far, no one on the team has been back, but I do want to go back. I would do a lot of things differently—that's the benefit of having done it once and knowing how to better adjust to the realities of climbing there. It's high on my list, but it's quite challenging with the current political climate there. Right now, I'm trying to knock some adventures off in my own backyard around Telluride. Has motherhood affected your adventuring and do your kids give you any indication of wanting to follow in your footsteps? It's definitely challenging getting the blocks of time to go do big expeditions. Anything over a week and I do start to miss them terribly. They're nine and 11 now, so they're super social, fun, and amazing to be around. I wouldn't say I've found a balance yet, but they understand what I'm doing and it's worth it. Both of them love skiing and being in the mountains and have started wanting to do projects around here, but I'm not sure they need to be full-blown alpinists. Tickets to Nelson's National Geographic Live presentation on Friday, November 30 at the Eccles Center are available via the Park City Institute website.